BABY BEARDS! is free today only (August 6th) for Kindle on Amazon. If you have an upcoming baby shower or know of a family expecting a baby, please download this eBook. 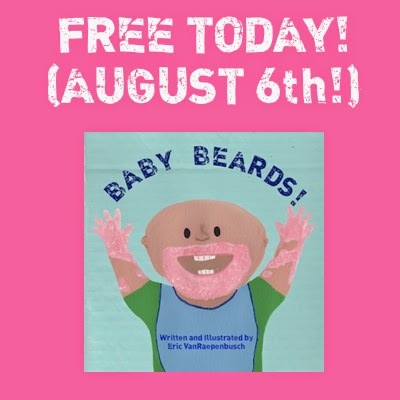 I think you will see that the paperback version of BABY BEARDS! would make the perfect gift. The paperback version will allow you to add your own photos, record eating milestones, and keep track of favorite foods!